This course offers a transformative field research experience that many former students consider the capstone to their years at Berkeley. The course begins with 3 weeks of intensive lectures and training on the UC Berkeley campus that provide the contextual framework for the remainder of the course. The students then depart for approximately 9 weeks at the Richard B. Gump South Pacific Research Station ​on Moorea in French Polynesia. While in Moorea, students design and execute their own independent research projects, starting with the initial preliminary studies and ending with statistical analyses and writing. The final weeks are spent back in the Berkeley campus where students write up their findings and prepare a professional seminar on their projects. The class size is limited to 22 students by the Gump dormitory facilities. Students learn about the biology, geology, evolution, and people of the South Pacific. 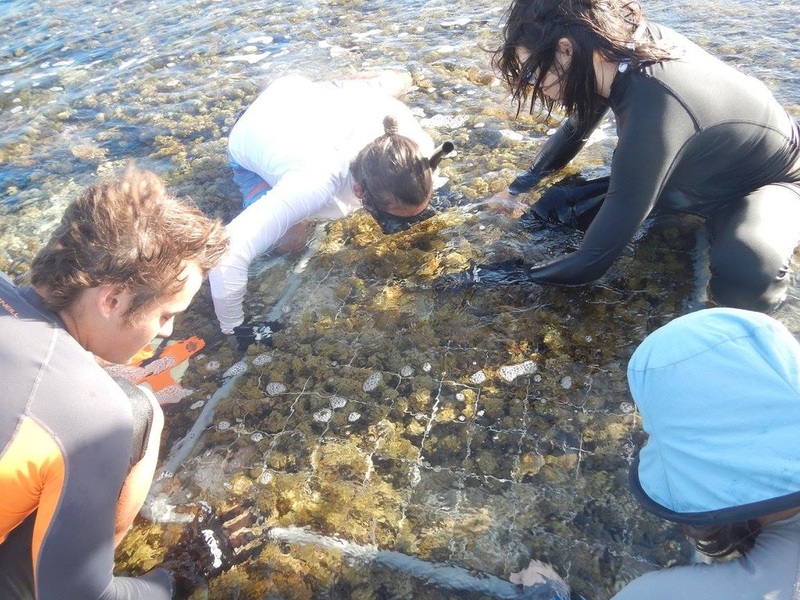 They develop the fundamentals of field research and work with faculty members to develop an independent project on an island topic, such as marine or terrestrial ecology, volcanic geomorphology, biodiversity, invasion biology, animal behavior, or oceanography of reefs and islands. Interested students should complete the course application. Selected students are then interviewed by course instructors. Students from other UC’s may take this course, though preference is given to Berkeley students. Those selected for interviews will be called or emailed to arrange for an interview in April. ​ This is a 13-unit course and enrollment is by application and interview only. In addition to tuition, additional fees are required for lodging, food, research expenses. Financial assistance is available for qualified students through the Financial Aid Office. Air fare from the Bay Area varies depending on ticket source and time of purchase. A valid passport is required and if you do not hold a US or EU passport, also a visa.